USB is one of the most common and popular interfaces of our time. To allow free positioning of all peripherals extensions are a must! This extension cable is double-shielded and compatible with USB 2.0. Please note: This cable is equipped with double male connectors (A-A). 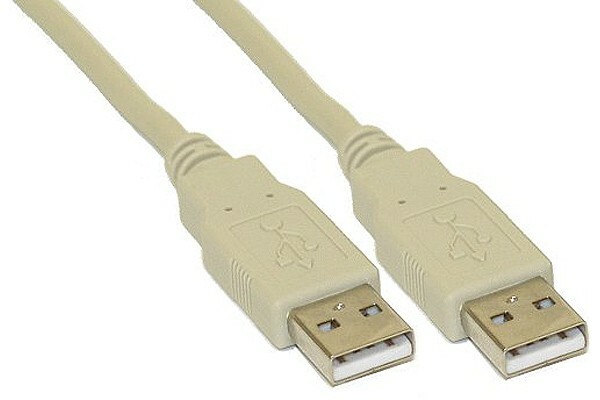 When a standard extension is needed please purchase an extension cable with a male and a female connector. This cable is suitable for special applications only. Please note: Never connect two PCs with one of these cables. It may result in hardware damage! For direct PC connection special link cables or transfer cables (Art. No. 87166) with integrated electronics are needed!